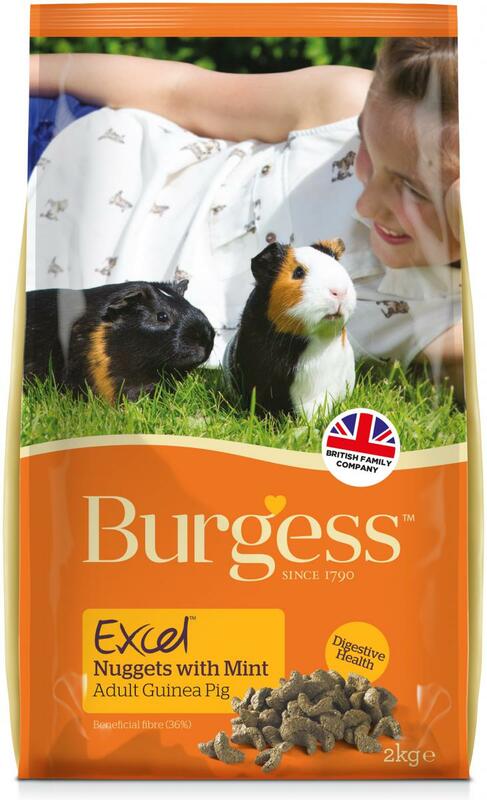 Burgess Excel Tasty Nuggets Guinea Pig Food is a complementary food for adult guinea pigs. This tasty formula is high in beneficial fibre, Vitamin C and rich in nutrients. It helps to support the immune system, digestive health, eyes, skin and coat, making your guinea pig feel happy and healthy. You should feed guinea pigs an average of 30 -50g per day. Please always ensure that fresh drinking water is available.When feeding for the first time introduce gradually over 4 days. This information is provided as a guide only. Please refer to the product packaging for full details. 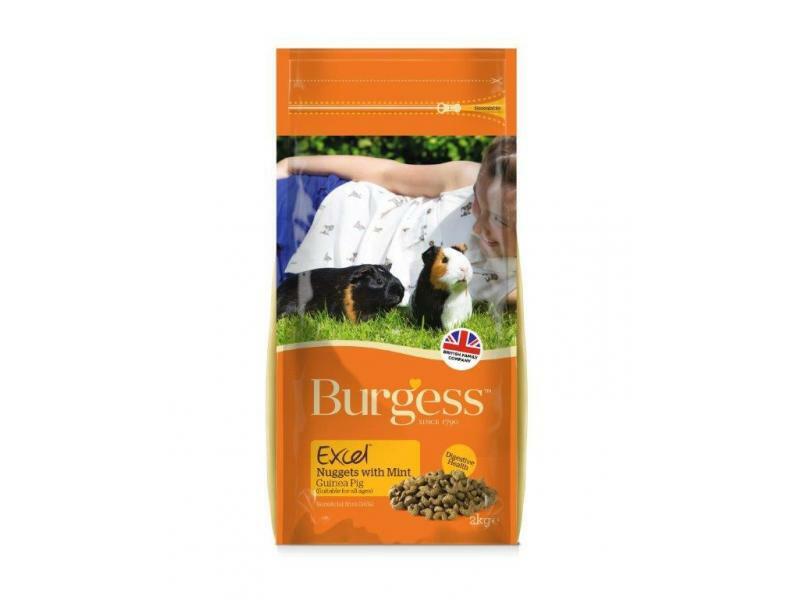 There are currently no questions for Burgess Excel Tasty Nuggets with Mint Adult Guinea Pig Food - be the first to ask one!